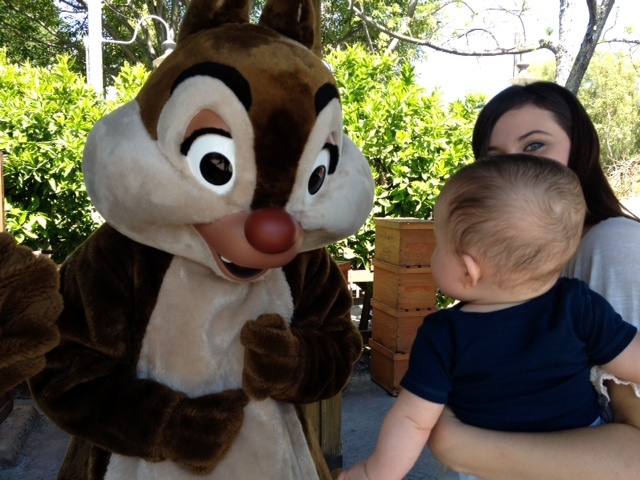 Please welcome Alex to the Disney Babies Blog! 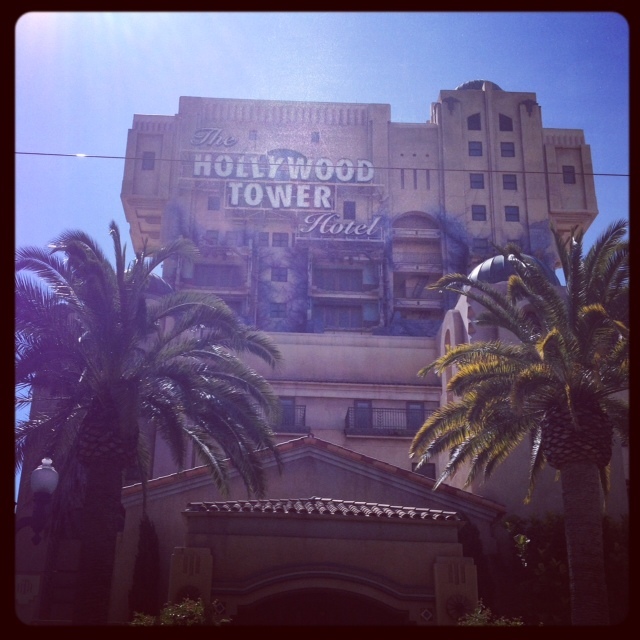 She's a young mom and here talking about her experiences at Disneyland with her little one! I'm Alex, a 22 year old stay at home mother of a gorgeous [almost] 11 month old. California native turned Arizonian, I am the owner of the shop This Love is Ours Boutique on Etsy and the author of the blog Mommys Craft Obsession. I absolutely love writing, being crafty, saving money, and having a good time with the people I love! We recently moved from Northern California to Arizona (boy is that a weather shock), but prior to our big move my family and I decided to enjoy one more adventure together and take a family vacation to Disneyland. Excitement overcame me as the ten year old within me started jumping with joy. 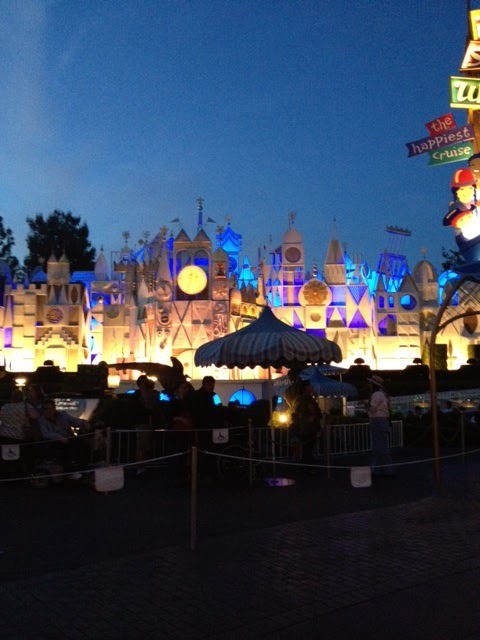 I LOVE Disneyland and it has always been such a special treat to be able to go. It is, after all, the happiest place on earth... right? Once the reality sank in, the ten year old girl within me put her head in her hands with a big sigh and the adult me realized that Disneyland with a (at that time) 7 month old would be quite the challenge. Baby A has always been a breeze. I was blessed to have such an easy going baby and he has been on a stable routine since he as just a couple of months old. Wake up in the morning, eat, play, nap, eat play nap, eat play, bath, and bed for the night. How was I going to keep this schedule while having fun in Disneyland?! his seahorse (the Fisher Price Ocean Wonders Soothe and Glow Seahorse- $14.99 at most retailers and so worth it! This soothes a cranky Baby A almost instantly as he has listened to it every night since he was in the belly and I would play it for him). A Stroller cover - whether it be a car seat or stroller cover, or even just a blanket to enclose your stroller to create a nice dark sleeping area. I also recommend if you plan on being in the park after dark and during baby's bedtime that you invest in a stroller bag such as a JJ Cole Bundle Me or a Petunia Pickle Bottom Bunting Bag. Although southern California does stay pretty warm at night (mommies and daddies may need a light jacket depending on the time of year), the cozier the baby the more peacefully they will sleep! By using all of these elements, Baby A was able to maintain his sleep routine with no problems or hiccups along the way. I mentioned before that I was a little nervous about making bottles while in Disneyland, my main dilemma was keeping the water warm for him! I brought four bottles pre-filled with formula and two thermoses of water (per day in the park). Upon making hotel reservations, we did our research as to which motels had microwaves inside of the room. I brought with me three gallon jugs of water specifically for bottles and a large mug to heat the water up in the morning. It worked perfectly! The water stayed warm throughout the day and it made it nice and quick for me to feed the baby. I bought a travel sized dish soap and washed bottles nightly in the hotel room, laying a towel out for them to dry on. Along with formula, I also brought four Plum Organic Baby Food Pouches, a sippy cup of water, and a snack trap full of Cheerios into the park daily. Hollywood Tower Hotel - not the best for infants! Cloth diapering while on vacation in Disneyland....dun dun dun! It actually ended up being pretty easy so don't stress yourself out to much whilst preparing. In our household, Baby A is exclusively cloth diapered with BumGenius 4.0s and Flip Hybrid Diapers. We were in Disneyland a total of four days and while at home I wash diapers every two days, so I planned on washing diapers halfway through our trip. I packed all of our Flip diapers (if you aren't familiar with the flip system, it is a diaper cover and a cloth insert that you put into the diaper. They make disposable inserts which makes it a hybrid diaper, although I do have a pack of the disposable inserts for just in case,, but I typically stick with the cloth liners), packed about ten 4.0s for morning and night when Baby A does his dirty business. I also packed our Bummis biodegradable diaper liners to make clean up easier. Make sure to bring a bunch of ziplock bags to dispose of the poop if you're not near a toilet! I doubled up a trash bag to put the dirty diapers in while at the motel and I brought two wet bags for dirty diapers inside of the park. The night that I had to do diapers we had decided not to be at the park much past dinner time anyway so while my mom watched Baby A, I headed down to the motel's laundry room and took care of the laundry. I made sure I had enough diapers for the next two days at the park and the drive home (we lived about 8 hrs away). Thankfully, we made it home with one clean diaper to spare and the cloth diapering at Disneyland was a success. A lot of you may be wondering what rides, if any, Baby A was able to go on. Surprisingly, he was able to go on a TON of rides! Most require you to hold them in your arms while on the ride, but there were a few that I was able to put him in the Ergo so he was more comfortable and secure. I took him on The Haunted Mansion (held him), Pirates of the Caribbean (Ergo, it does have two small drops in the ride), The Jungle Cruise (held him and Ergo), It's A Small World (held him), Finding Nemo Submarine (held him, although I do not recommend taking your little one on this ride due to loud "bombs" going off), and of course he got to go on a lot of the kids rides! To give Baby A a break from the stroller, I made sure to carry him in the Ergo as much as possible or carried him on my hip when I could (he got heavy fast!!). It was very important to me that I used a diaper bag that I could bring on the rides with me, perhaps I was a little paranoid because I didn't want Baby A's food to get stolen! Hey, ya never know! I chose to bring a Petunia Pickle Bottom Touring Tote which ended up working great for us! I could easily hang it from the stroller or carry it right under my arm for safe keeping and it held everything I needed for the day (with exception of the thermoses of water which I kept in the stroller basket). Having a compact diaper bag and a Baby Carrier made going on rides and having fun myself easy and enjoyable. So if you're thinking about taking your infant to the Disneyland Resort in California but you are intimidated by the challenges of maintaining a sound schedule, bottle feeding or cloth diapering, don't be! I recommend the Carasol Inn and Suites (located about a block away from the entrance of Disneyland). They have a microwave and refrigerator in the rooms and a washer and dryer on site to make your life easier! Take a deep breath and take the plunge into maintaining your reality while enjoying a Fantasyland! Like what you've read? Follow my blog at Mommy's Craft Obsession and become a fan of MCO on Facebook! Great suggestions. 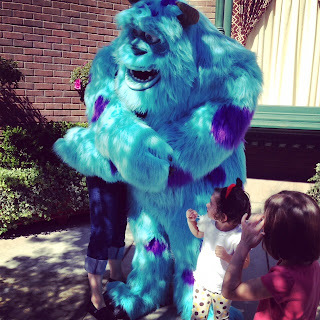 I've often wondered when in Disneyland how the moms manage with little ones. Thanks Alex for the advice. This is GREAT! I totally feel like I can manage Disneyland with my lil' ones! Thanks for all the GREAT advice! Amazing review!!! I also cloth diaper and have worried about traveling and maintaining our cloth diapers! Thank you for the great tips! I wish I had this advice when I took my daughter to Disneyland. Thanks so much!